Concise instructions–lots of diagrams–I’m lovin’ it! Love scrap quilts. I am looking for a quilt with cats for my grand whose first word was cat. It doesn’t have to be scrappy but….. I downloaded some of the last mystery clues to see a picture of the baby string flower quilt. 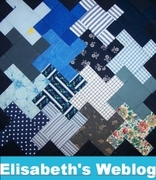 It’s really cute and unlike any other mystery quilt pattern I’ve come across. 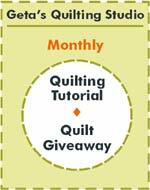 I tried to find a picture of the baby string flower quilt and it kept sending me back to the mystery thing with the clues and then it said the pattern would be ready after Nov 2009, but I could never see a picture of the quilt or the pattern? what gives? ps I am impressed that you have the capability of all those different language translations.